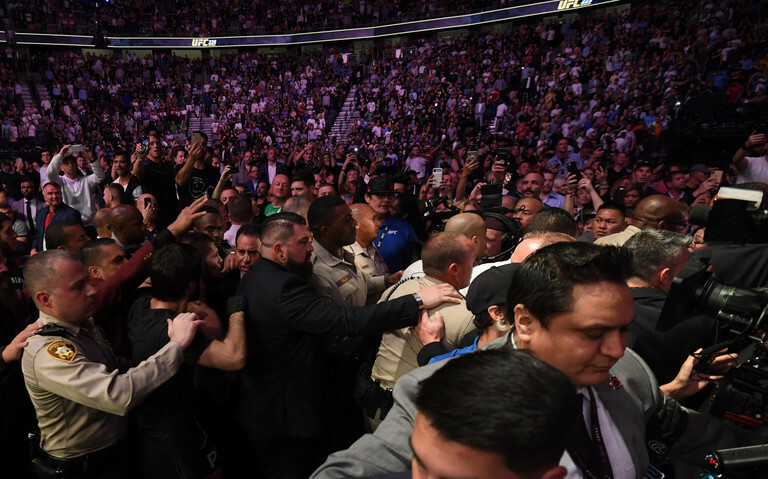 Conor McGregor and Khabib Nurmagomedov have both been hit with punishments for the scenes that occurred after their UFC 229 bout. Nurmagomedov, who won the bout, was handed a nine-month suspension and a fine of $500,000. However, the ban will be reduced to six months if he cooperates in the filming and distributing of an anti-bullying video. The incident was sparked after the 30-year-old left the Octogan and ran at McGregor's team-mate Dillon Danis. From there, chaos ensued. Irish UFC star McGregor was handed a six months suspension and $50,000. Both bans are retroactive to the date of the card, meaning McGregor will be free to fight again by April 6. Abubakar Nurmagomedov and Zubaira Tukhugov, who both joined in, were handed one-year suspensions and fines of $25,000. The discrepancy in the fine is something Khabib's manager Ali Abdelaziz was left furious with.